Harmony Show Choir is an auditioned only group of high school age performers from the Southern New Jersey area. They are professionally staged and choreographed in a high energy, family oriented musical revue. 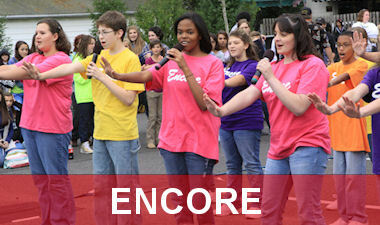 Encore is an instructional show choir which gives middle school students a chance to hone dance, vocal and performance skills. 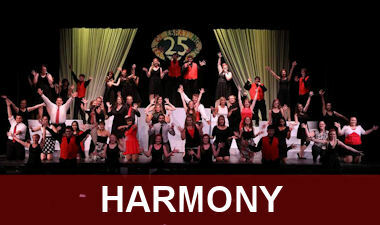 Harmony is a 50 member show choir which tours in a musical outreach program. The show choir presents programs from Broadway to Disney to Gershwin. Each show is fast-paced and loaded with great music and exciting choreography. Encore is a 40 member instructional show choir which gives middle school students a chance to hone dance, vocal and performance skills.